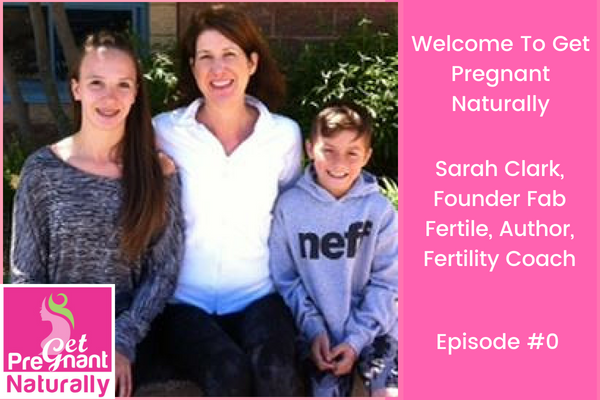 I developed the Get Pregnant Naturally podcast because I want women to wake up to know when they use the tools of functional medicine and natural fertility solutions they can eventually reverse infertility. Women come to me after spending an 10’s of thousands of dollars with fertility clinics but they are still no closer to the dream of having their baby. They are frustrated, lonely and scared that they will never be a mother or add to their family. I created this show because I want to empower women to know that there is another way. I want there to be one place where women can go to hear the latest research and cutting edge information in functional medicine, natural fertility solutions, emotional health, nutrition and lifestyle practices. Above all I want women to know that there is hope. Did you know that an average IVF takes 3 cycles at an approximate cost of 60,000? Building a strong foundation and focusing on preconception health will prepare for a healthy mom/dad, healthy pregnancy and health baby. Women come to me all the time and tell me they feel hopeless. They have struggled for years with failed cycles, miscarriage and stillbirth (my heart aches with the pain these women have had to endure). You may feel like giving up….I get it, I struggled with infertility just like you. I don’t want you to have any regrets, because if you haven’t looked at functional testing combined with personalized diet and lifestyle plus effectively dealing with the emotional heartache you haven’t tried everything. I believe in miracles, but you have to meet the miracle part way. You need to show up and take action. After our daughter we I waited 1 year and then we went back for a transfer. We had two embryo’s left. I was stressed out and we wanted to our children close together. The transfer did not work. Discovered during the health coaching course that I had a food sensitivity and later a gut infection. I believe that a food sensitivity was the root cause of my infertility, I’ll never know for sure discovered too late, as I was fully in menopause. If you are still cycling naturally, using the tools of functional medicine (which is the future of conventional medicine) we can eventually reverse infertility. My name is Sarah Clark, I’m an Infertility Conqueror, Fertility Coach and Author. What can I expect to walk away from the show with? This podcast will inspire, motivate and empower you to take action. Infertility does not happen in a bubble. There is a reason and when we take a targeted approach with a personalized diet/lifestyle, layering in the emotional support and building the program based on functional testing we set ourselves up for success. I want you to be your own advocate. To actively participate in your journey to conceive. You know your body better than anyone. You body will whisper to you and when you ignore the signals it will start shouting at your in the form of disease. It time for you to tune into the signals, focus on your preconception health and restore your fertility. When should I tune in? I will release weekly episodes. Definitely check out these episodes…. 1) I’m speaking with Amira Posner (we co-facilitate online Mindfulness Fertility Series together) we’re talking about what to do when you find yourself going down the rabbit hole of infertility. This one is huge…so many of us get caught over researching and then become completely overwhelmed…you’ll learn how to take a step back…in order to go 3 steps forward. 2) I’m speaking with Brandy Buskow (our Functional Diagnostic Nutrition Practitioner – Brandy provides nutritional support and runs the functional laboratory testing in our Couples Coaching Program. We are talking about taking a functional medicine approach to anxiety and how anxiety may be linked to your infertility. If you have experienced anxiety and depression for years, you’ll learn tips right now that the medical community is not telling you. 3) I’m speaking with Amanda Stevenson our Fertility Yoga Instructor. We’re talking about fertility yoga and how it can help you deal with stress. You’ll learn which pose you need to do before bed and what to do if you’ve tried meditating but can’t sit still. What would you like me to do right now? I need you to subscribe. So go ahead and hit the subscribe button. This show is unique and takes a new perspective on the journey to conceive and have your baby. My message is to educate and share this message with women who are trying to conceive (women are the ones who mainly come to me). Share it with someone you think could benefit from this information, share in your FB groups and infertility forums. I am so excited you are here and I can’t wait for you to look at your journey to conceive in a whole new light. Need support? I offer a FREE Supercharge Your Fertility Supercharge Discovery Call.